Home > Stellar Data Recovery Standard Software > Why Trust Stellar Windows Data Recovery Software? What are you to do if you lose all the necessary files stored on your computer’s hard drive or an external hard drive? Problems like virus attacks, physical damage, user error, etc. can quickly put you in a spot. Fortunately, in a lot of cases, you can recover the data quickly with the help of a reliable and professional windows data recovery software. 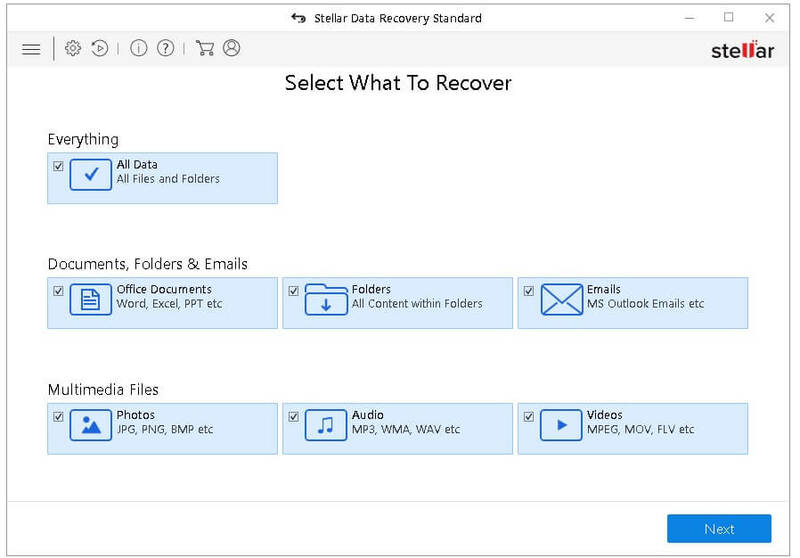 Now, even though there is a variety of data recovery software’s available on the Internet today, Stellar Windows Data Recovery software is the one that you can’t go wrong with. Data corruption can take place for a variety of reasons. For instance, a malware infection can easily harm the data, and its impact can even spread if left untreated. Similarly, interrupting a data transfer from one partition or drive to another (power failure, USB removal, etc.) can also corrupt the files involved. This windows data recovery software has advanced search options to recover data from severely corrupted hard drives. Formatting data means merely to wipe clean a hard drive, which means all the files & data stored is inaccessible or lost. It does not erase the data on the disk but the address tables. 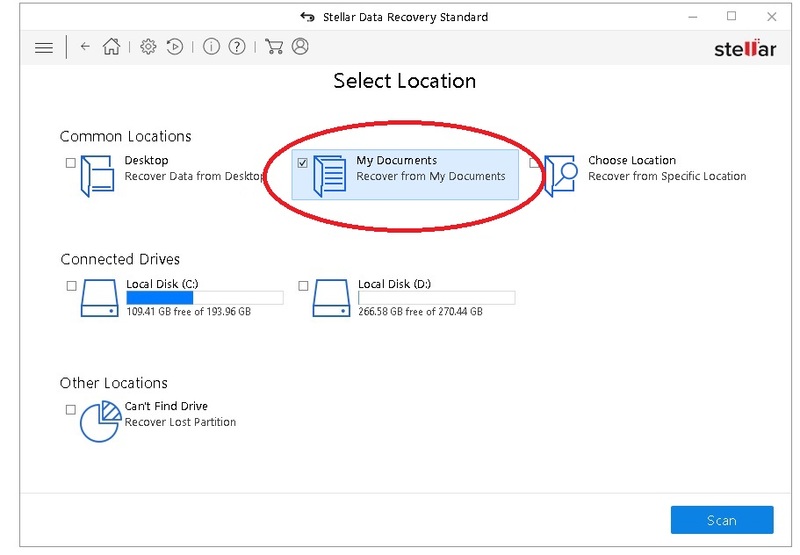 So, if the user has formatted disk, do not panic, Stellar Windows Data Recovery software can help you recover all the vital information from the drive. In essence, recycle bin deleted data is the same as formatted data . Because in both cases the data is lost as free space is created on the hard drive. However, the difference lies in the process. When you delete data, then the disk takes the files and marks them as a space in the file index. When you need to store another file, it identifies the free space by looking up the index. Download Stellar windows data recovery software to recover data. Your hard drive contains a “Master Boot Record,” a hidden file that contains all the details about the hard drive partitions. If it gets deleted or corrupted, then you can lose access to the hard drive partitions. This software can help the user recover data from lost partition. Checking the properties of the hard drive in this situation usually shows the free space and used space on the hard drive as “0 bytes”. ,” is because the hard drive becomes “RAW”, a result of having a lost or corrupted system directory structure. The problem with a RAW hard drive is that you can’t access the files stored on it unless you format it first. However, this means that all the data stored on it .”. Thus, a Windows data recovery software such as Stellar windows data recovery is the only feasible solution. How is Stellar Windows Data Recovery Software an Ideal Solution? Stellar windows data recovery software is an ideal solution & the best hard drive recovery software today. The software functions effectively and recovers up to 100 % of the data from the above-mentioned scenarios. Download and install Stellar Windows Data Recovery on your computer. Launch the program. A window will appear asking you to “select what to recovery”. After selecting your option, click “Next”. Note: Be sure to select a location that’s not on the hard drive you are recovering the data from. The software lets you see the recoverable/lost files in a preview window. So that you can select the data you need before initiating the recovery process. You don’t need to pay a penny before you use the software. You can run the software and see the files that you need to recover before you purchase the software. Stellar’s advanced “deep scan” feature ensures that not a single file is missed out during the scan. Switch to “deep scan” to dig deeper if you did not find files in the quick scan. 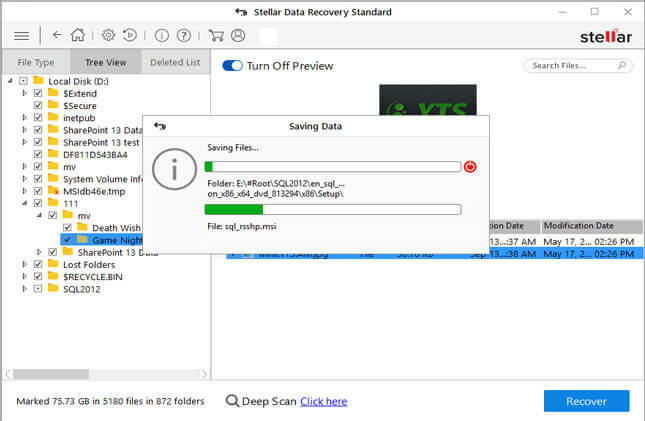 Stellar offers data recovery solution for all kinds of storage media devices including internal & external hard drives, SSDs, SD cards, laptops, etc. The software is 100% safe and secure. Data loss scenarios in which the damage is physical, i.e. broken read/write head, damaged magnetic platter, etc. the only viable recovery option is a professional data recovery service in which data experts open the hard drive manually to recover the data. With Stellar windows data recovery software, you get inbuilt support for that so that you can contact the professionals. Stellar Windows Data Recovery Software is recommended by industry experts to users numerous times, one such recommendation was by PC Mag*! Your data is essential which is why there is no reason to pick anything but the best windows data recovery software. Purchasing Stellar Windows Data Recovery Software is akin to a one-time-investment. It will ensure that in the event of data loss, you are prepared and recover the data within minutes. It’s safe and 100% reliable. If you are still not sure about the software, you are free to use the trial version of the software. I was looking for a data recovery software, I had lost data because of accidental deletion. Does this software help recover data after accidental deletion? You can recover your accidental deleted data by using Stellar Windows Data Recovery Software. You can read the above article to know how this software works. hello, does this help in formatted drive recovery? Yes, the software can recover data in the formatted case. I was checking the blog and is it possible to get data back after multiple formatting? Data recovery after multiple formatting is a tricky premise, one possibility of data recovery is if your drive is not overwritten. 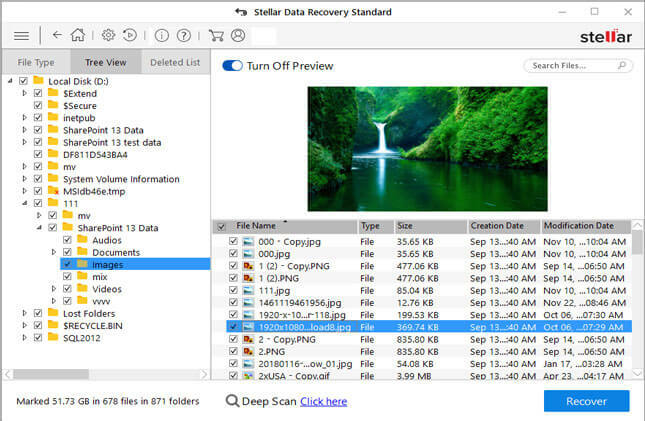 You can download the trial version of our stellar windows data recovery software and scan your hard drive and check if you see your lost data/files. Thank you for your feedback. Keep visiting our blog for more updates. True to its name.. the software worked well and recovered data from my formatted hard drive. Thanks to the excellent guide ! !